Evelyn (Evie) Hooper was first diagnosed with cancer at three weeks of age. Bilateral Retinoblastoma caused tumors to grow in both of her eyes. She lost her right eye to cancer before she could begin treatment in Toronto. 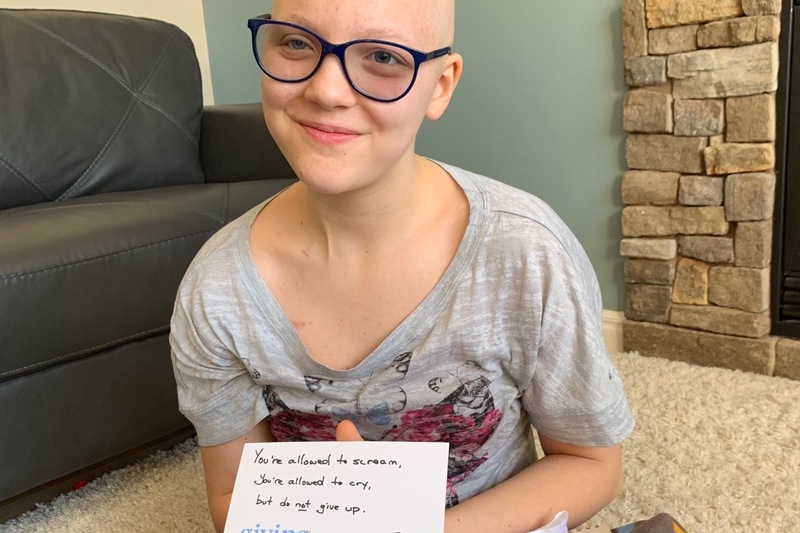 After four rounds of chemo, laser and cryotherapy treatment, and many EUAs (examinations under anesthesia), Evelyn was considered a survivor by the time she was 7. In August of 2018, Evie noted that her sinuses were bothering her and that her nose wouldn’t stop running. While waiting for the cold or sinus infection to clear up, Evie’s left eye began to swell, and her lymph node in her neck was bothering her as well. 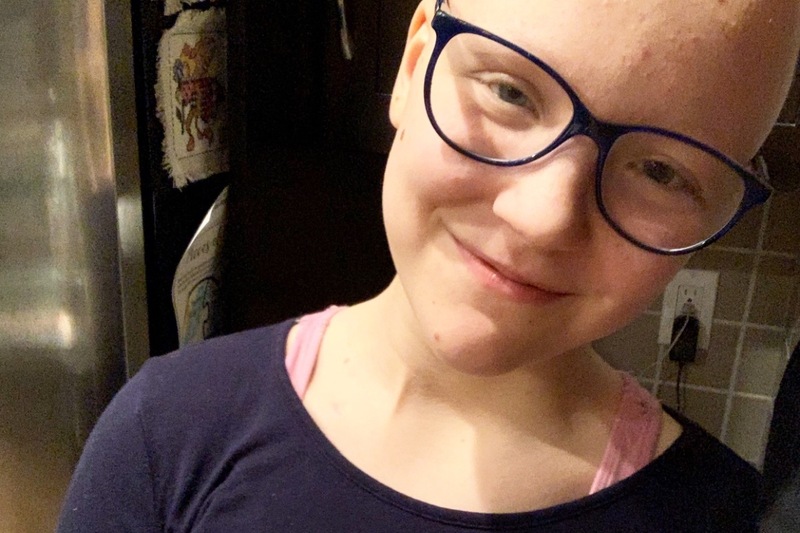 After treating her with saline, steroid sprays, and antibiotics and seeing no improvements, Veronica (mom) took her in to the Alberta Children’s Hospital on November 9 th , where she had a CT scan. The doctors referred her immediately to have an MRI, and a follow up with an ENT as there was something visible in her sinus. The results of the MRI were gutting. Evie had a large mass growing in her sinus, and the doctors had her admitted immediately to perform a biopsy on the mass. The results came back positive, and showed that the tumor had metastasized to the lymph nodes in her neck. After many tense days of waiting, they were finally able to give her tumor a name: Olfactory Neuroblastoma. Olfactory Neuroblastoma is a rare cancer that is primarily in adults; in other words, they do not see it in children. In adults, the survival rate when the cancer spreads to the lymph nodes is 20%. The Hooper family’s world was turned upside down. Treatment began immediately for Evie after celebrating her 11 th birthday on November 24 th. Adults with Olfactory Neuroblastoma are not treated with chemotherapy as it does not tend to shrink this very aggressive tumor. Typically, it is treated with surgery and radiation. As of right now the surgery that needs to be performed would be very invasive due to the size of her tumor, the plan is to use chemotherapy and hope for the best prior to surgery and radiation. With Evie’s history of the genetic form of Retinoblastoma, radiation puts her at a high risk for secondary cancers. Before Christmas, Evie began chemo, which has yielded some positive results. She still has another 2-3 rounds of chemo to go before they will perform surgery to attempt to remove the mass from her sinus. In all likelihood, they will also remove the large lymph node that was visibly affected by the cancer, but they will not remove the other lymph nodes from her neck. The third course of treatment involves radiation therapy to try to neutralize any cancer cells that are still in her sinus and throughout her lymph nodes. 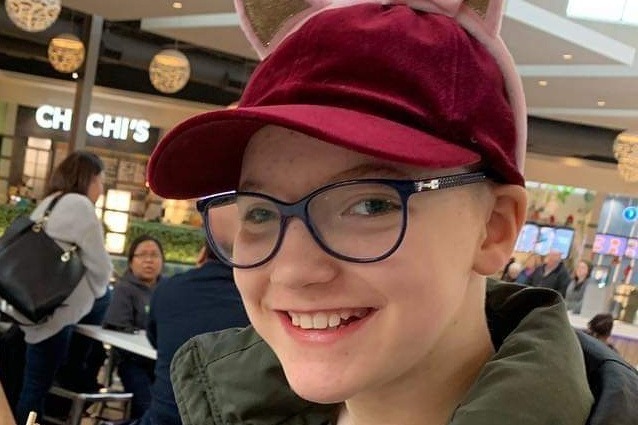 To help improve her chance of survival, the team at the Children’s Hospital are sending her to receive proton radiation therapy, a more precise and less invasive form of radiation that is less likely to trigger secondary cancers post treatment. 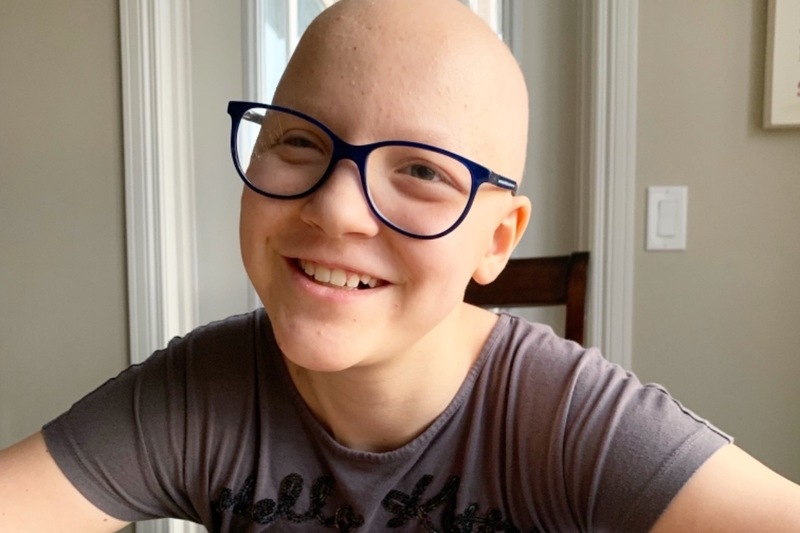 Proton radiation therapy is not available in Canada, so Evie and her family will be travelling from Airdrie, Alberta to Jacksonville, Florida as soon as she has recovered from her surgery. Evie’s treatment will be 30 minutes a day, 5 days a week for a minimum of 28 treatments, plus time required to perform scans and tests prior to beginning radiation. The minimum length of time that they will be required to stay in Florida is 2 months, with a strong possibility of needing additional treatments and time spent away. The family hopes to be able to stay together throughout the length of treatment to make the most of the time they are given to be with each other. The family will require financial support to be able to stay together. Evie has three siblings: Gwen (12), Sully (6), and Celeste (3). Mike and Veronica will be taking time away from work to keep the family together, and the financial burden will be great. The family is very thankful for any and all support they receive, financially or otherwise. Evie is a bright light that deserves all the love she can get while going through a battle that she has already been through. It’s time for our update leading into round 4 of chemo this week. As each round has 6 weeks and 2 courses of chemo (ie. chemo every 3 weeks) we’ve been going through this for 18 weeks already, which is so hard to believe. Time keeps marching on and so do we! By the end of the fourth round we’ll have been at it for 24 weeks- half a year! Much of our news may seem repetitive, and honestly, sometimes it feels like it for us too, but it doesn’t make it any easier for Evie. It’s taking her longer to feel like herself again, and we try to make the best of the week prior to chemo beginning where she tends to be the healthiest. Tomorrow, we begin round 4 with another MRI at 7:15 AM, you can imagine how excited we all are about that. This MRI they will be checking the usual spots as well as her spine, where they are checking on a cyst they noticed back in November. If it hasn’t changed with chemo, the cyst is benign, so we’re hoping for no change, as crazy as that sounds. We are also hoping that all of the cancer is shrunk to nothing, or really close to it, so round 4 can be our lucky number! If you want to keep us in your thoughts and prayers, please focus on Evie’s continued health as her counts bounce back more slowly each time, as well as a continued resiliency to side effects. Also, if you could keep our family close, we are always working around schedules, and while we are so pumped for new things (Mike starting work tomorrow, Gwen made the badminton team), these things all seem to fall at the same time as appointments and chemo! It can be tricky to navigate. We are also ready and waiting to go to next steps of treatment at any time, which is also great, but it’s tiring for the kids too. We appreciate the support and love. Thanks to everyone who continues to keep us close, we appreciate the notes, texts, and emails so much. We love our village, dearly. As always, blessings to each and every one of you. Love deeply, laugh often, and take the time to find a bit of wonder in each day. Another update on what’s going on right now. I haven’t done an update in awhile. The truth is, the status quo of chemo isn’t much to write about right now. Evie is beginning her 6th course of chemo on Thursday, which we are hoping can be her last. The chemo has had some undesirable side effects this round, including more nausea, mouth sores and gum bleeding which make Evie quite uncomfortable. The MRI still showed some shrinking since last time, but at this point we are not sure if it’s worth the havoc that the chemo is wreaking on her body if surgery is feasible. We would also like to get things going as soon as possible to get the cancer out of her body, and to try to get to Florida sooner than later. We will be talking to the doctors before chemo begins again on Thursday, so if you are willing to pray, ask for, or put out good thoughts towards the following things, it would be much appreciated! 3) That the side effects are minimal, and that when the time comes for surgery, that Evie is healthy and ready to go! As always, we are so thankful that we have all made it this far, and continue to live in the here and now and be grateful for time we are given. It’s a fine balance between being ready to go at any time and feeling stuck in a holding pattern. It is just a moment, a feeling, a blip in the grand scheme of things, but we are looking forward to moving towards more healing and getting the cancer out of her body, Lord willing for good. Evie finished her second round of chemo like a true warrior and had her end of round MRI on Monday. Today we found out that she will be doing a third round of chemo starting on the 21st. This isn’t what we wanted to hear, but it’s not a bad thing as the doctors are still confident that she is responding well and it will make a difference in her surgery. It bumps her radiation date back as well, I figure if all goes to plan and we don’t have to do any more chemo that we will be going to Jacksonville in May and June, but we should know more soon. A giant THANK YOU to everyone who has donated to the campaign- we hit our goal and beyond. I cannot express the difference it has made along this journey, being able to focus on Evie’s treatment right here right now without having to figure out how to stay together during her next steps is an incredible gift for us all.